Enable producers to sell more wine. Their answers were unanimous and profoundly simple. They want SALES. They want shoppers to come into their stores and purchase wine off the shelf. Considering that the average retailer offers between 900 – 1,100 different SKUs, there is fierce competition — a challenge that your industry faces every day. 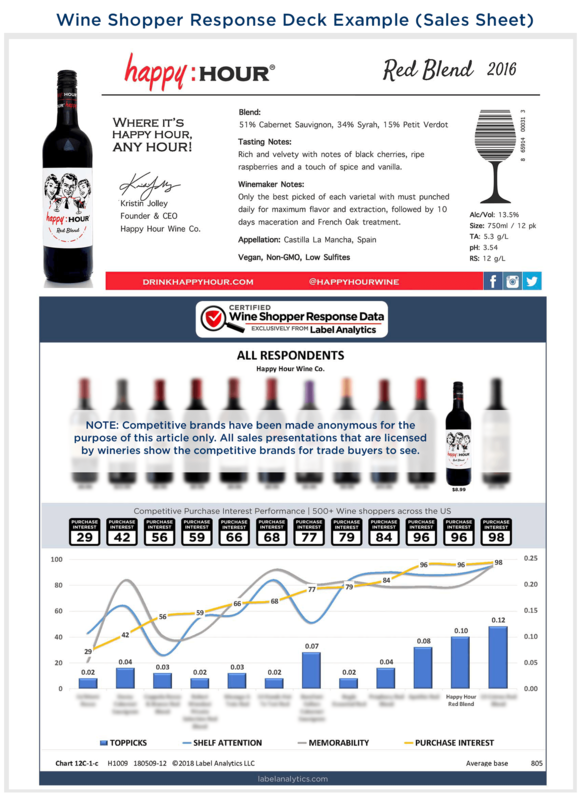 So, we dug deep into the issue and discovered what makes a wine shopper purchase one specific bottle over hundreds of others. The answer is (brace yourself): The LABEL. 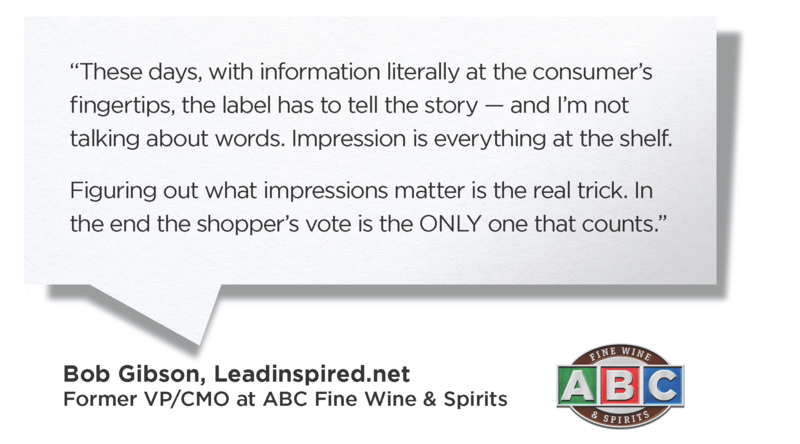 An estimated 80% of a wine purchasing decision comes from the label. You read that correctly — eighty percent! Understanding these three components is what allowed us to fulfill our mission to enable wine producers to sell more wine. How did we do it? 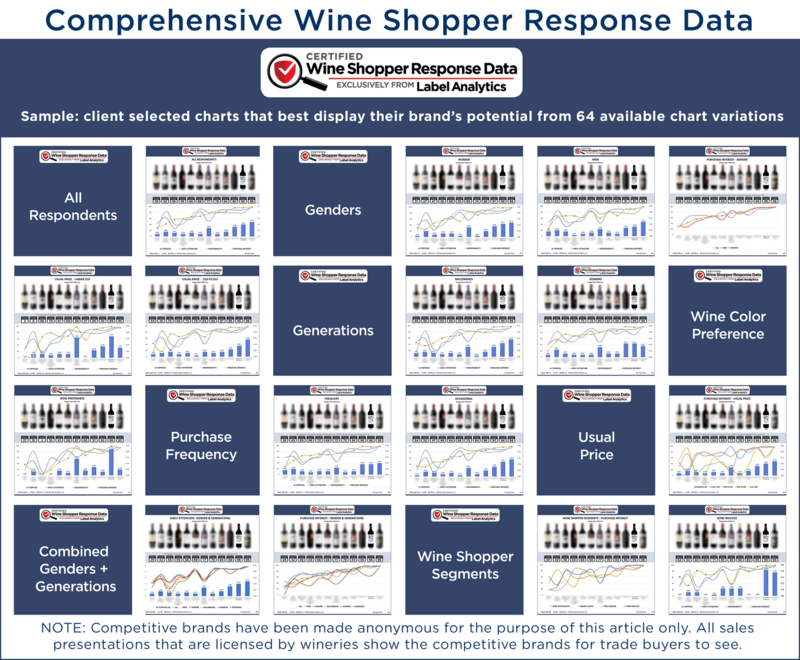 Through real-world wine shopper data. 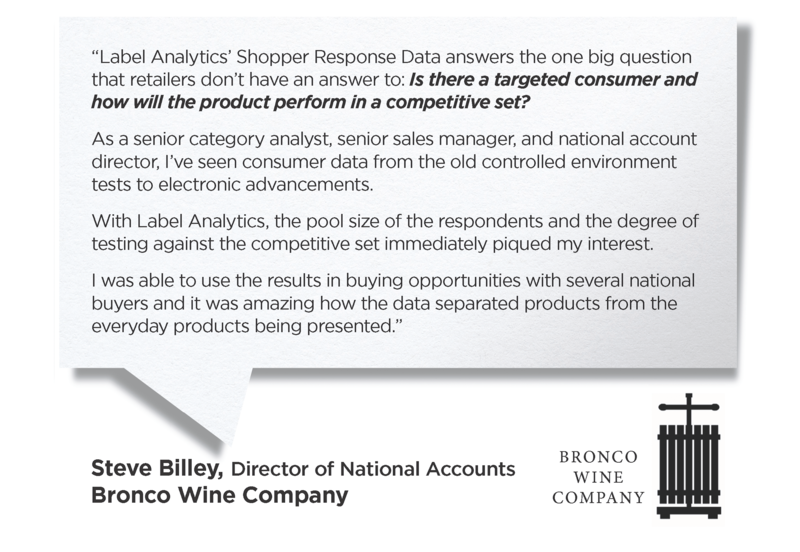 Our first — and very extensive — step was to develop a patented process that evaluates how likely wine shoppers are to purchase your bottle off the shelf. Our system ranks your product on: Memorability, Price Impression, and the likelihood to Purchase vs. competitive brands. Next, Label Analytics segments those results by demographics. The results alone may be worth their weight in gold, but we take things a step further by preparing the materials you need for your meeting. 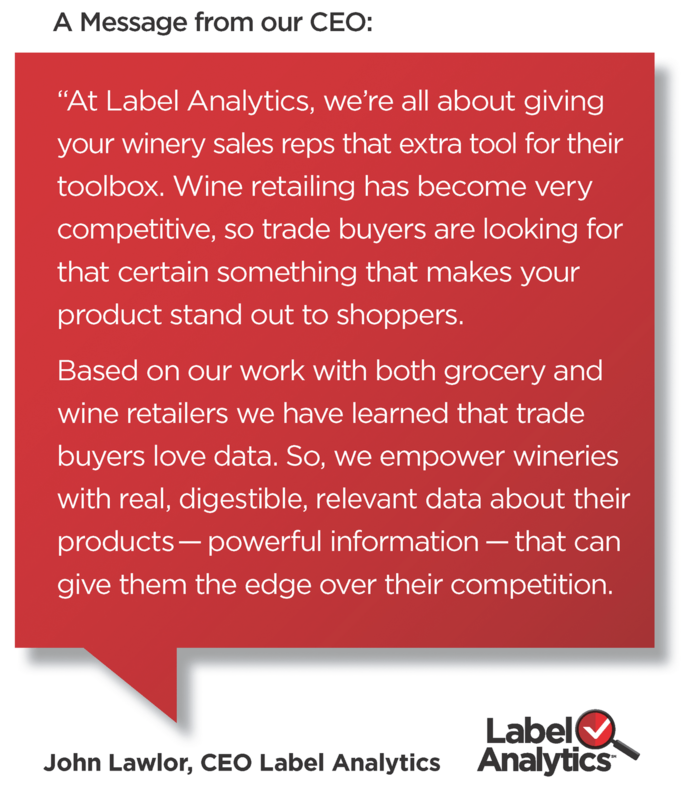 Label Analytics compiles your results into customized sales presentations called Wine Shopper Response Decks that your team can integrate into their sales pitches. 3.) HIGHER PURCHASE INTEREST and repeat sale probability than other leading brands. 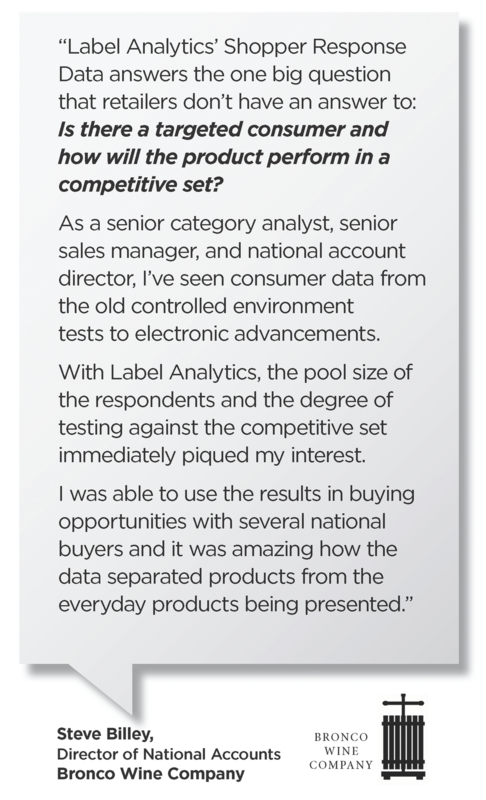 When you work with Label Analytics, you’ll meet all three components. Congratulations! Yes, I'm ready to chat! When it comes to wine sales, producers should use any advantage they can get. This can mean pivoting away from the usual methods of driving sales such as adding more people to your sales team, spending more money on POS or running more marketing campaigns. All of these methods are both costly and time-consuming. 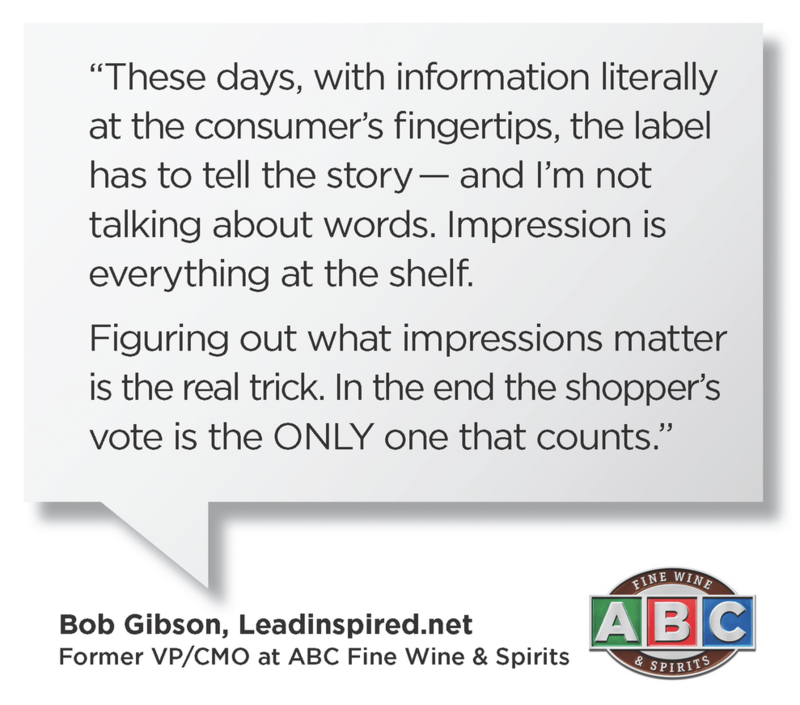 That’s where Label Analytics is different. We empower the sales people that you already have by arming them with information that your competitors don’t have — valuable data that won't cost you a fortune. 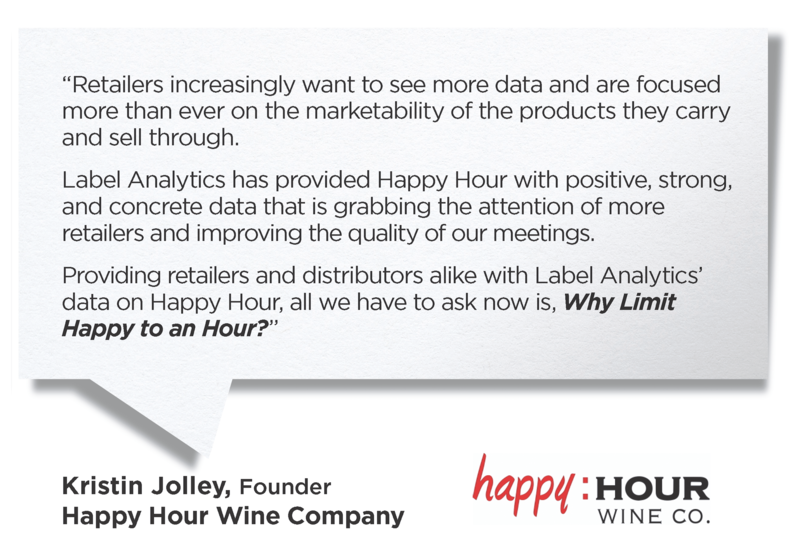 We offer a month-to-month licensing payment plan that allows producers of any size to quickly utilize our Wine Shopper Response Decks to sell more wine to trade buyers. 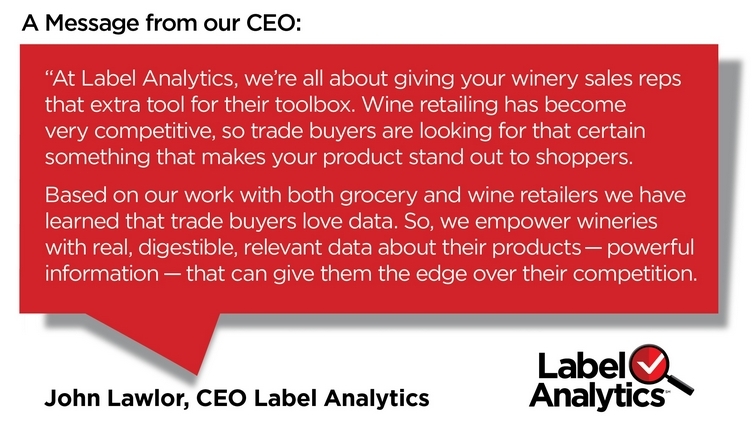 Trade buyers crave specific data that convinces them that wine shoppers will buy your product. 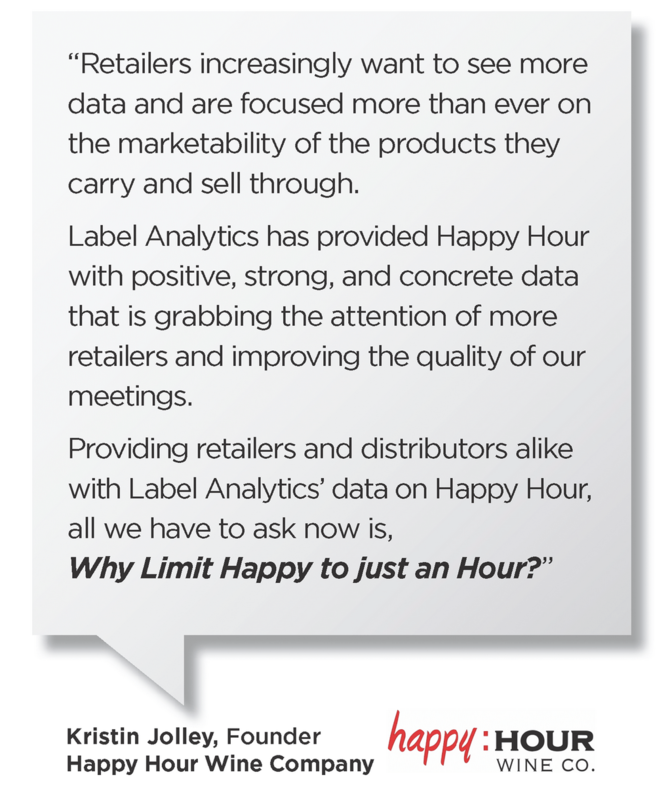 Only Label Analytics generates the unique, customized shopper response data that can turn more of your sales presentations in SALES.